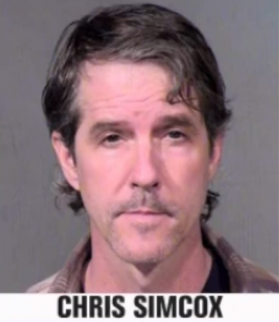 Chris Simcox, co-founder of the Minuteman movement of armed civilians who patrolled the Arizona border looking for undocumented immigrants, has pleaded innocent to charges that he molested three young girls under the age of 10. In court papers, police identified one of the alleged victims as his own daughter. Simcox, 52, faces two felony counts of molestation of a child, three charges of sexual conduct with a minor and one count of furnishing obscene or harmful materials to a child. According to the Phoenix New Times, Simcox could face life in prison under Arizona law if convicted of a single felony molestation charge. A former California kindergarten teacher, Simcox in 2005 became the co-founder of the Minuteman Civil Defense Corps with Jim Gilchrist, whom he later feuded with. Simcox developed into one of the nativist movement’s most charismatic figures, often affecting the likeness of a tireless vigilante on a lawless border with a pistol tucked into the front of his jeans. But the movement of which he was a part peaked in 2010 and has almost disappeared from sight since then. Simcox’s arrest early this month, which followed the death sentence handed down for another nativist extremist leader for her role in a 2009 double murder in Arizona, adds yet another chapter to an already troubled public life and movement. This is not the first time Simcox has been accused of violence or molestation. In 2010, his third wife, Alena Maria Lyras-Simcox, obtained a restraining order after telling a court that Simcox had threatened her with a gun and told her he was going to kill her and their children. Earlier, in 2001, Kim Dunbar, Simcox’s second wife, sought to obtain custody of their teenage son because she said her husband had become dangerous. In sworn affidavits, Dunbar alleged that Simcox was prone to violent rages throughout their 10-year marriage. And his first wife, Deborah Crews, told the Southern Poverty Law Center around the same time that Simcox had tried to molest their 14-year-old daughter. No complaint to police was made then. In recent years, Simcox had been working for iMemories in Scottsdale, Ariz., a company that helps digitize consumers’ home videos and photos, the New Times reported. A spokesman for the company told the newsweekly that Simcox was fired on June 5, two weeks before police arrested him. It was not immediately known if the events were related.